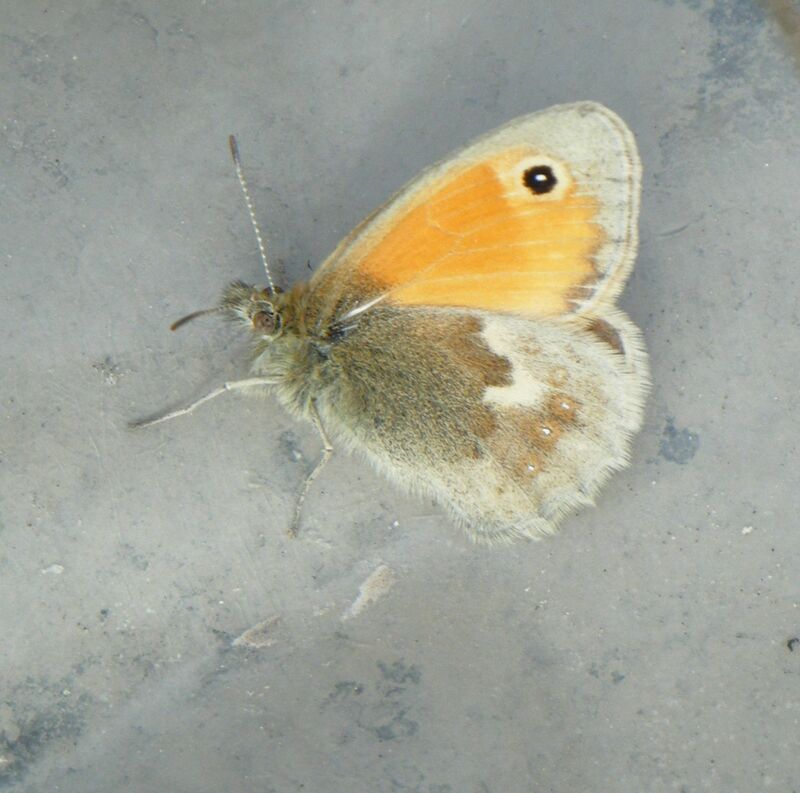 This is the smallest of our 'browns' and is closer in size to a skipper, or Common Blue than its relatives, such as the Meadow Brown. 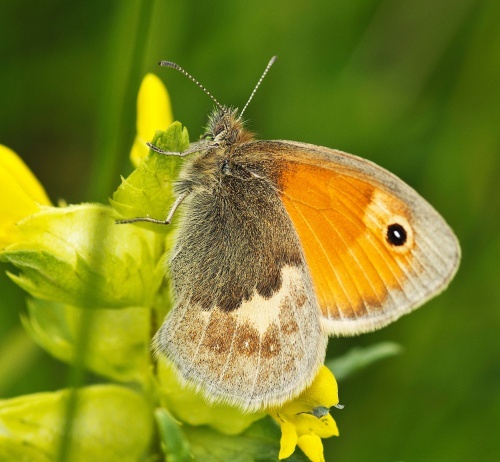 However, its fluttering flight is quite different from that of the skippers and blues and is relatively easy to identify in the field. 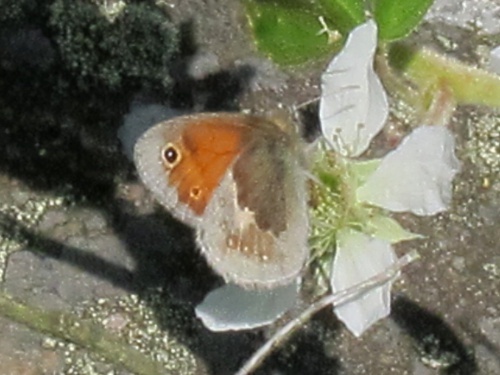 This charming little butterfly always settles with its wings closed, where the single eyespot on the underside of the forewing is usually visible, acting as a decoy to any predator. As the Small Heath is only seen at rest with its wings folded together, identification is based on the underwing pattern. The underside of the Gatekeeper is broadly similar so care is needed. 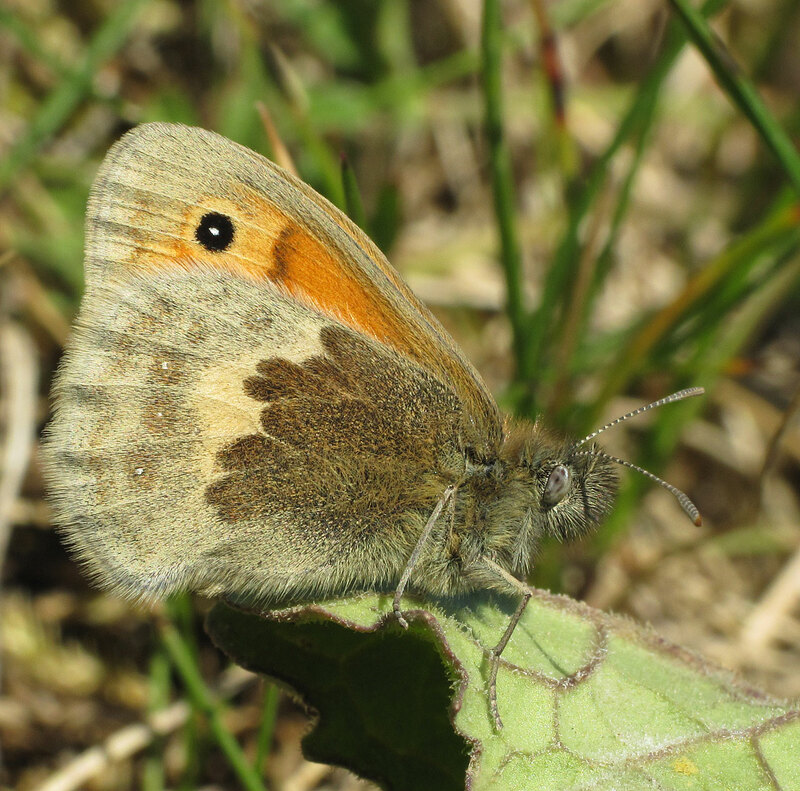 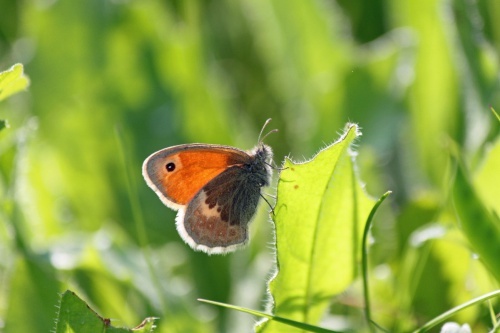 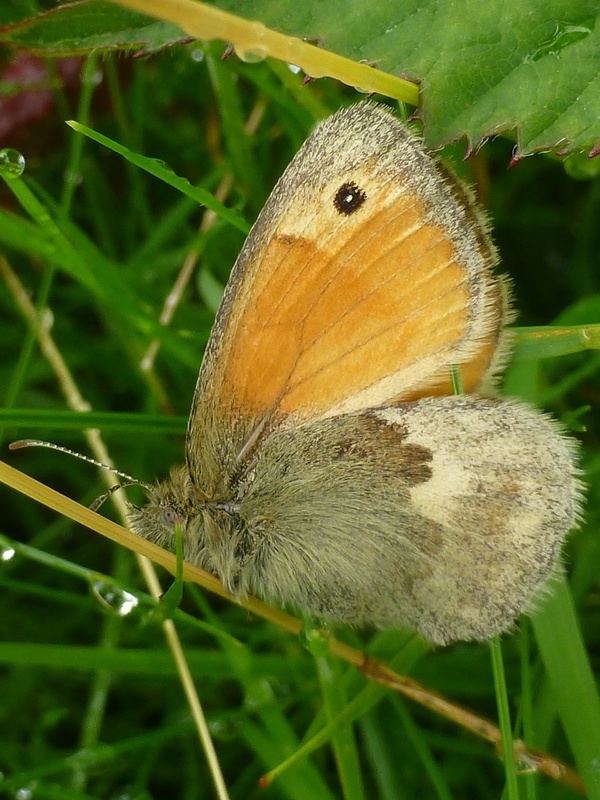 Despite its name, the Small Heath is not confined to heathland and can be found in a wide variety of habitats especially those that are more open, such as grassland, heathland, railway embankments, disused quarries, meadows and sand dunes. It occurs only sparingly in woodland where it can be found in ones and twos along wide woodland rides. 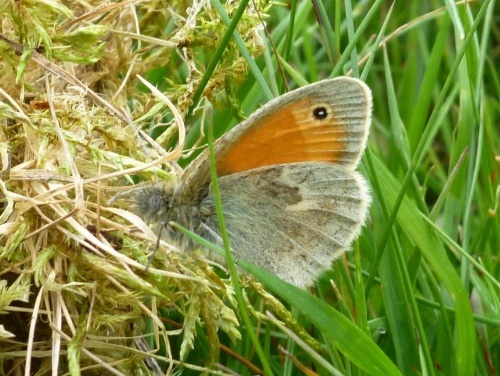 Wherever it occurs, the adults prefer a shorter grass sward than closely related species. Populations found in the north have one generation each year, while populations in the south have two generations each year and possibly three in exceptional years. 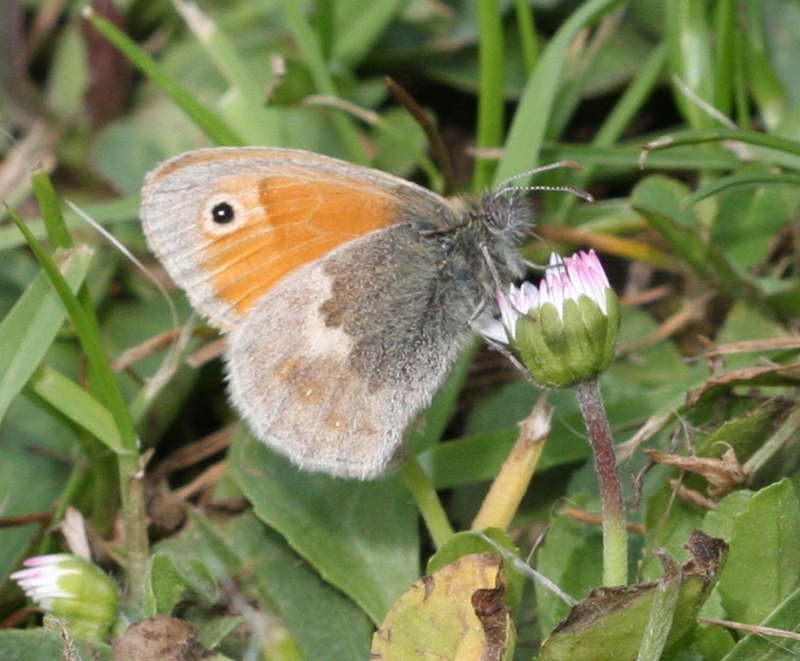 Adults can be found continuously from late May until mid-September as a result. 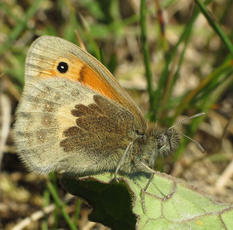 In all locations, it is the larva that over-winters, after having fed on grasses. This is a widespread butterfly and can be found over most of the British Isles. 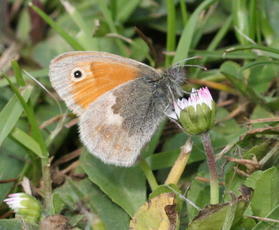 Locally common in Leicestershire and Rutland, but uncommon in many parts of our area.